Ferrari has been very stingy when it comes to information on the new California coupe-convertible, leaving it to German Autobild to be the first to release new images other than the few studio shots. But at least there is now photographic proof that production of the new front-engined Ferrari has started. 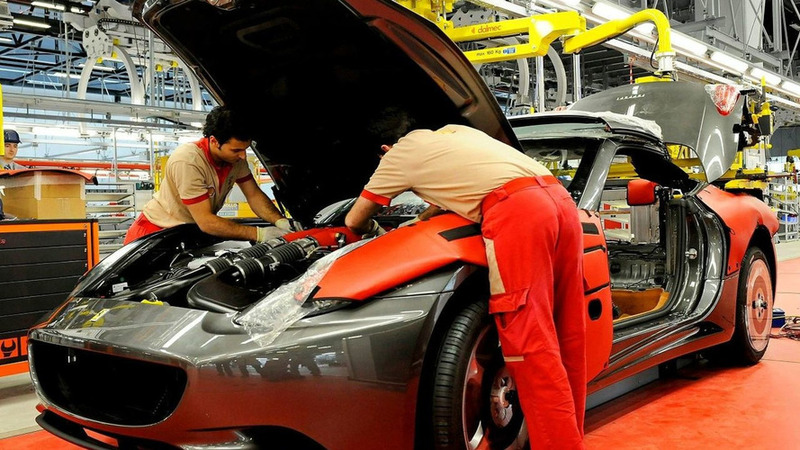 Manufacturing is taking place at Ferrari's brand new production line, the latest phase in Ferrari's Formula Uomo program which started in 1997 to improve production, safety and employee happiness. “Excellence is the driving force behind all of Ferrari’s activities,” says President Luca di Montezemolo. “We intend to create a working environment unlike any other anywhere in the world.” In 2007 the Maranello factory took home the European 'Best place to work' award.